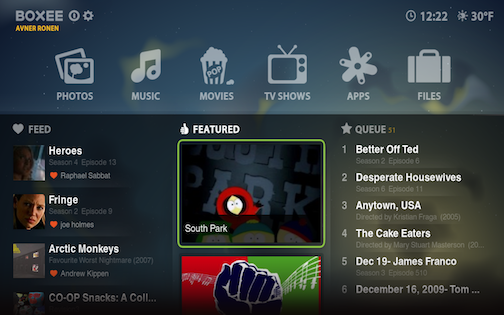 Boxee fans, today’s your lucky day: the service has just released its Beta to the general public. You can download the new version of the streaming video hub here. The new version is really a complete overhaul of the app — it’s received a new, sexier UI that makes it easier to browse through the service’s content (and anything you might have saved locally too). 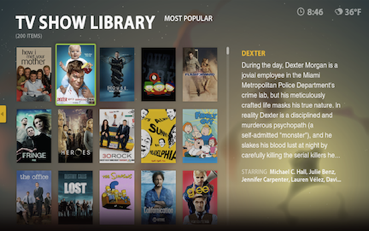 Niceties include the ability to filter a show by season and episode and easier sharing using Boxee’s social features. There’s a lot that’s changed in the background too, including a switch from OpenGL to DirectX and support for hardware-accelerated video decoding for Windows users. Today’s launch also brings with it some new content partnerships, including TV.com, blip.tv, and IGN. Unfortunately, the Boxee/Hulu cat and mouse game continues. Boxee says that some Hulu content now works in the app, and they’re working to get the rest of it added. The Beta has been a long time coming — we first saw pictures of it back in June, when it had a planned September release date. It was finally unveiled in December, with a projected CES launch date (which they hit). Now the Boxee team says they want the 1.0 release to debut at next year’s CES. Boxee has been making a lots of waves at CES, primarily with its new Boxee Box — a hardware device built specically to let people stream content to their TVs using the service. The device will sell for under $200 and comes complete with a QWERTY remote. If you’d like to get a feel for Boxee, or are setting it up for the first time, check out this new guide that was put together by Howcast and Boxee.